Manufacturing USA's The Institute for Advanced Composites Manufacturing Innovation (IACMI), a 160+ member, University of Tennessee, Knoxville and U.S. Department of Energy driven consortium committed to increasing domestic production capacity and manufacturing jobs across the U.S. composites industry, announces the Phase I completion of a project led by DuPont, with project partnership from Fibrtec and Purdue University. 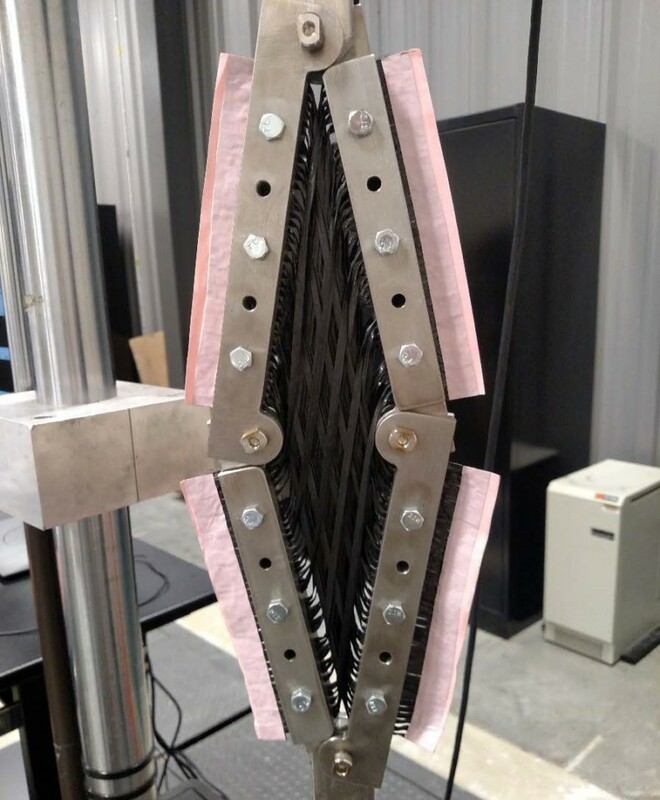 The conclusion of Phase I validates the creation of a new carbon fiber composite manufacturing process that exhibits improved fabric formability characteristics compared to traditional woven materials. The implications of the Phase I results are driving Phase II of the project, and can ultimately lead to a decrease in cost for carbon fiber composite structures, making them more amenable for adoption in the automotive and other high volume industries, reduce embodied energy, and can directly lead to a creation of jobs in the industry. DuPont’s Rapid Fabric Formation technology deploying FibrflexTM at high shear angles.